So right now I wanted to share the 5 things that I can’t stop thinking about. 1. 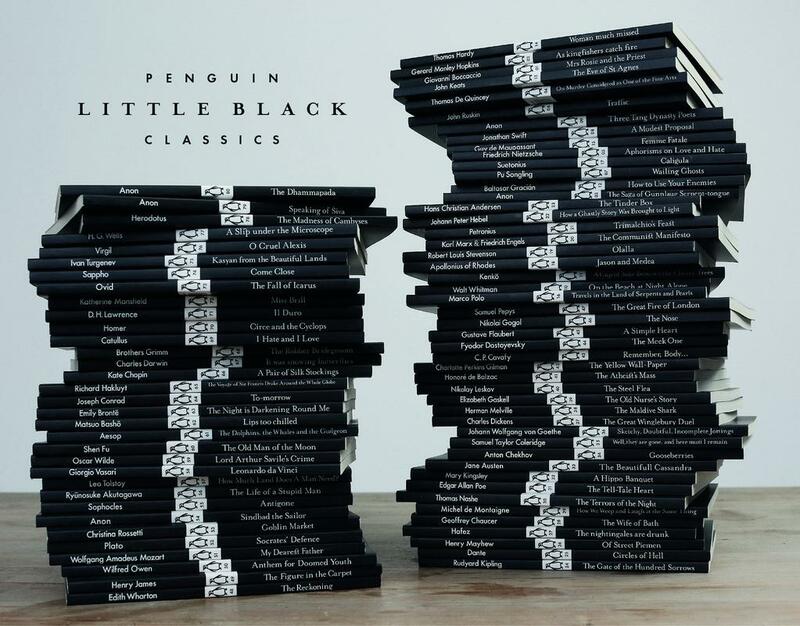 Penguin Little Black Classics. The launch of classics celebrates the 80th anniversary of Penguin Books. 80 titles at .80 pence each. There are a range of titles, from The Yellow Wallpaper to Anthem of a Doomed Youth; and those are just two of the eleven that I pre-ordered. The publication date is 26 February 2015 so there’s time to check them out. I want them all, which is completely impractical (my bookcase is crumbling and I’m fairly unsettled). 2. Five Dials. The editors released a stunning issue complete with sketches from Richard McGuire’s graphic novel, Here. The magazine offers an incredible look at McGuire’s creative process. 3. Robert Macfarlane’s Landmarks. I’m completely obsessed with this book, which explores the relationship between language and landscape. It’s not out until early March (5th) but I just can’t wait. I know this book is going to be brilliant. Macfarlane is a well known travel writer. I discovered his travel writing around the time my friends and I went on a walking holiday in Sussex. There were other walking/literary holidays too. I can’t seem to satisfy my fascination with Dartmoor. The clapper bridges, tors, and historic churches; there is just so much to discover. 4. I have a healthy love of fashion and I found myself obsessed with Narciso Rodriguez’s RTW Fall 2015 collection. This season he was inspired by Maharajas, but last season he was influenced by the cover of Granta magazine. Rodriguez’s inventiveness reflects the spirit of 1990’s. He explores other cultures and mediums, but his aesthetic doesn’t change. He still maintains the principle of minimalism and that’s what I love.